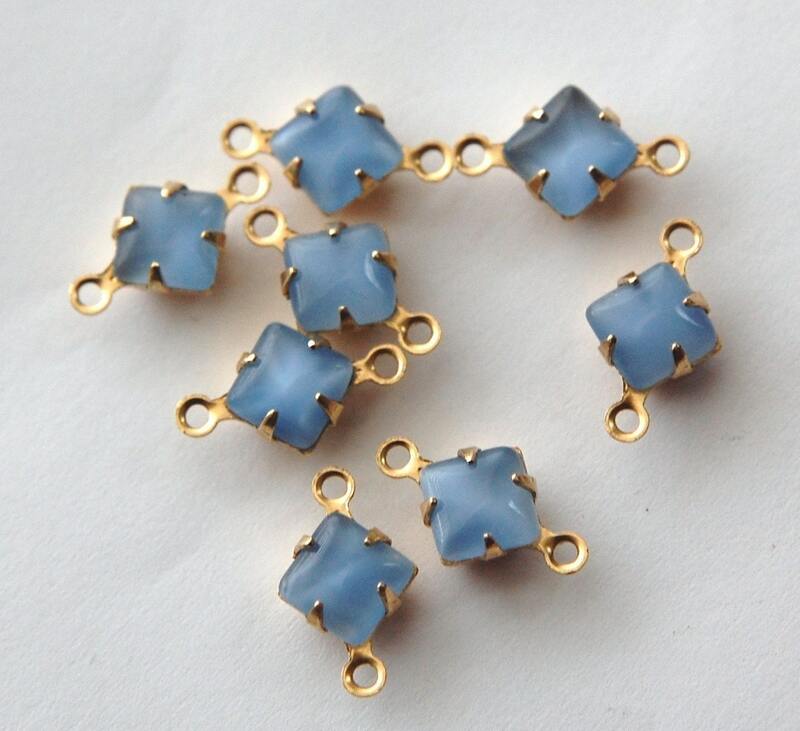 These are blue moonglow square stones set in a two loop brass connector setting. These measure 6mm square. You will receive 8 of these. These are a great, petite size,a great color, and the ever useful 2 loops! I had not seen this blue in moonstone; love it.